Fast forward twenty-five years to 1989, during Reagan’s presidency; the Berlin Wall came down, followed shortly thereafter by the demolition of the rest of the East German border fence, and the reunification of the two Germany Nations. One year later, in 1990, I returned to Germany, with my sixteen-year-old daughter, Susan. I wanted her to see some of the unique cultural features of Bavaria that I had seen and known. And yes, we visited Coburg. The Grenze – the border, had completely disappeared; the roads were no longer blocked, but continued north into East Germany, as did the railroad lines. The barbed wire fences, the no-man’s land with the mine fields, the metal fences and automatic booby traps had been dismantled. Only the guard towers remained, but given time, they, too, would be taken down. As a side note, the Bavarian State Opera House, a much-beloved theater of the citizens of Munich, was badly damaged in a bombing raid on October 3, 1943, and although not completely destroyed, the roof had fallen in, and the interior was gutted. Almost immediately after the cessation of hostilities in Germany, plans and preparation were initiated to begin the restoration of this national treasure. The reconstruction and restoration period lasted eighteen years. Finally, opening night was scheduled for November1963; the premier opera for the night’s gala opening was Richard Wagner’s five-hour-long production of Die Meistersinger von Nurnberg. Tickets for this first night’s performance had been sold out for months, if not years. The anticipation for opening night was ecstatic. The long-awaited event had finally arrived; the guests were excited to again see and hear opera in their world-renowned theater that had been silent for almost twenty years. 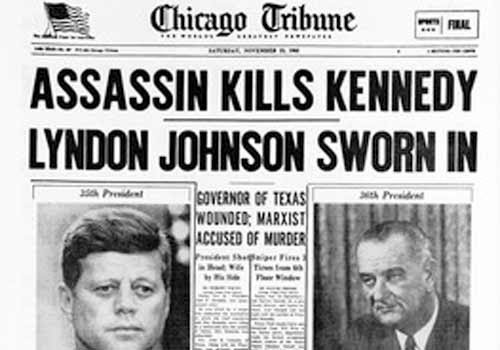 Opening night was November 22, 1963; with all the guests seated in their seats, a hush fell over the audience as the conductor walked solemnly to the center of the stage, and with microphone in hand made the announcement that President John F. Kennedy had just been assassinated in Dallas, Texas. Out of reverence and respect for the fallen president, who was much beloved by the German people, the opening night’s performance was cancelled, and it was with heavy hearts that the guests exited the newly refurbished and restored Bavarian State Opera House, and dispersed into the crowds and streets of the city that had fallen quiet. Other than the dirt road, there weren’t a lot of flat places to camp around Richard’s makeshift kitchen, so I elected to set up my tent on the road just in front of Richard’s car. Richard cautioned me to be careful as it was still deer-hunting season and there were a lot of hunter vehicles traveling the road at night. Other than making a few runs to the bushes during the night, it passed without incident, and I slipped out of camp before the sun was up. It was only eight miles to the next pass, which was Stampede Pass, and I was there by noon. As I approached and crossed over the pass, I was greeted by expansive clear-cuts that provided a thoroughfare through the dense forest for three overhead high-tension power lines. After walking under the third set of power lines, I took time out for lunch and sat down on a grass embankment next to the trail. Knowing that I would be in Snoqualmie Pass tomorrow afternoon, which had a superb motel with an outstanding restaurant, I decided to eat everything left in my pack. I ate a packet of Top Ramen, a packet of Idahoan Instant Potatoes, several peanut butter and jam tortilla sandwiches, dried fruit, trail mix, and a candy bar, and I still had food left over. This was the biggest meal I had eaten on the trail in twenty-four hundred miles, and I enjoyed every morsel of food; I should, for I’ve shrunk considerably in body weight.